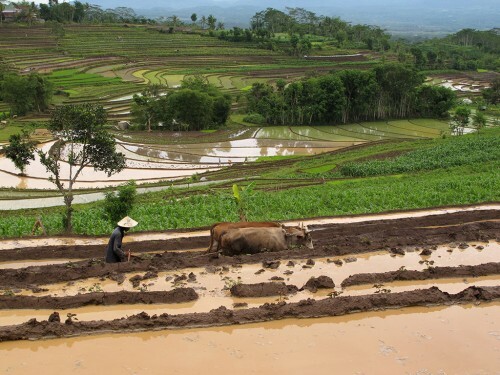 “Landscape approaches” seek to provide tools and concepts for allocating and managing land to achieve social, economic, and environmental objectives in areas where agriculture, livestock, mining, and other productive land uses compete with environmental and biodiversity goals. Given the vast range of landscapes on this earth, we have yet to devise a singular definition of the “landscape approach,” but this is how we described the aim and purpose in a research paper back in 2013: The term can be as elastic as the changing and developing environments in which it’s meant to be implemented – a landscape approach is, inherently, a context-based process. As such, we assert there is not a single landscape approach, as is often presumed, but a wide range of landscape approaches that can be applied in differing geographical social and institutional contexts. In an attempt to reconcile competing land use objectives, landscape approaches have increasingly become a dominant discourse within the conservation and development lexicon. It is now recognized that sectorial silos must be overcome to start down sustainable development pathways acknowledging interdependencies between sectors operating within multifunctional landscapes – and tropical landscapes in particular, which perpetually see gaps between knowledge and implementation and between policy and practice. Consequently, while the landscape approach discourse has continued to evolve, attempts at implementation—and particularly evaluation—in the tropics remain nascent. The German Federal Ministry for the Environment, Nature Conservation and Nuclear Safety (BMUB) has recently funded the Center for International Forestry Research (CIFOR) and partners to operationalize landscape approaches in three tropical countries – Indonesia, Burkina Faso and Zambia – over the course of five years. In this work, we seek not only to use landscape approaches to address challenges in communities in these countries, but also to observe the implementation process and local uptake of such approaches. We plan to convey our findings as we go along so that others can learn simultaneously from our work.